A luxurious African experience awaits! 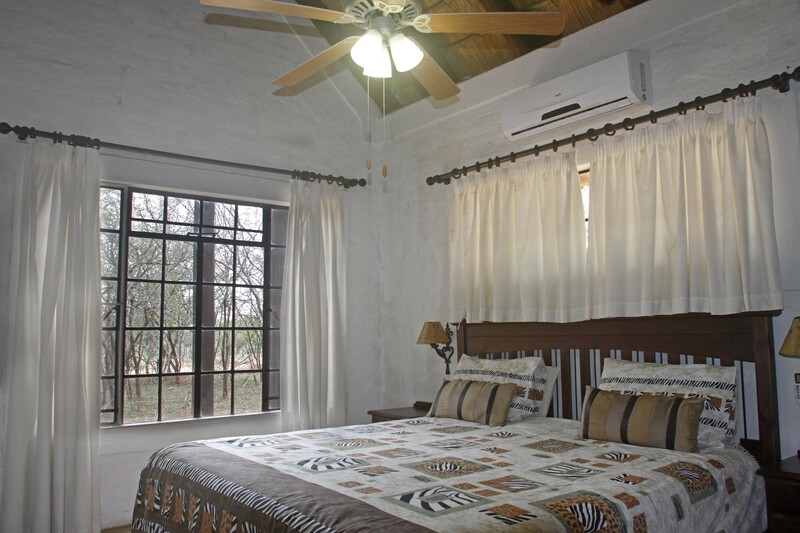 Animals,such as giraffe and zebra, move freely around this spacious thatched cottage that overlooks the Crocodile River and Kruger National Park. 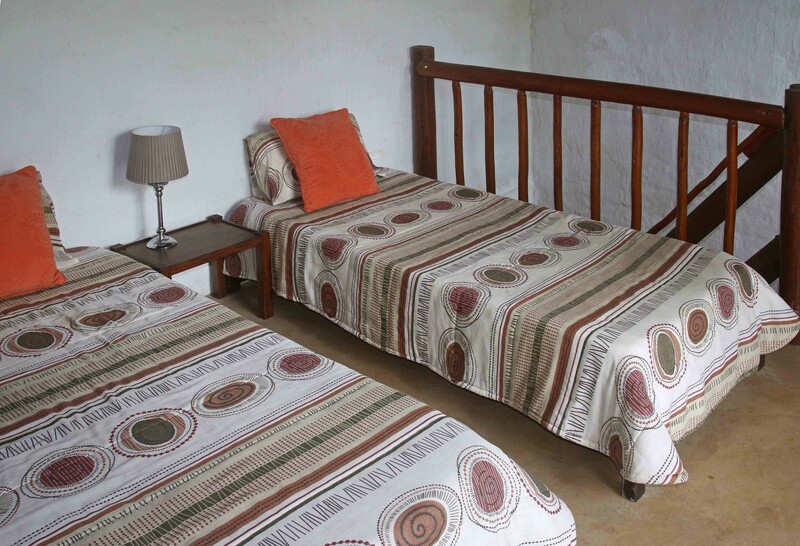 Kruger View Cottage is a beautiful thatched cottage on the Crocodile River with a view over the Kruger National Park. It is situated in Marloth Park, which is a wildlife conservancy that adjoins the southern border of the Kruger National Park. 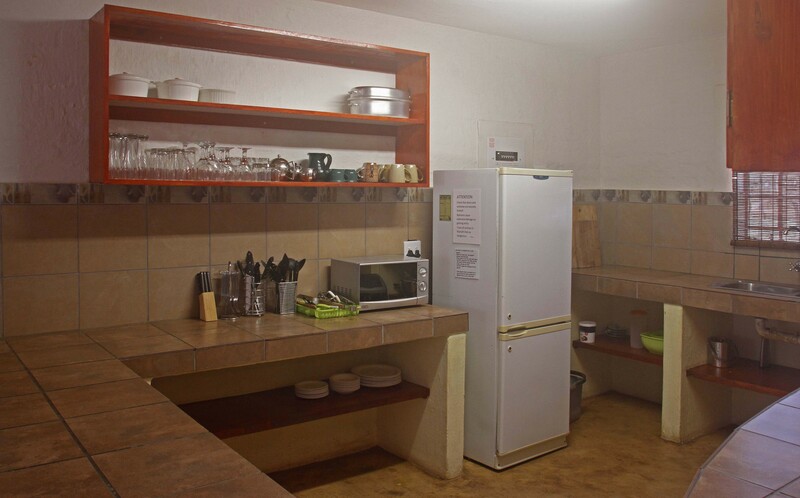 This fully furnished, self-catering cottage has a large open plan lounge and fully equipped kitchen. 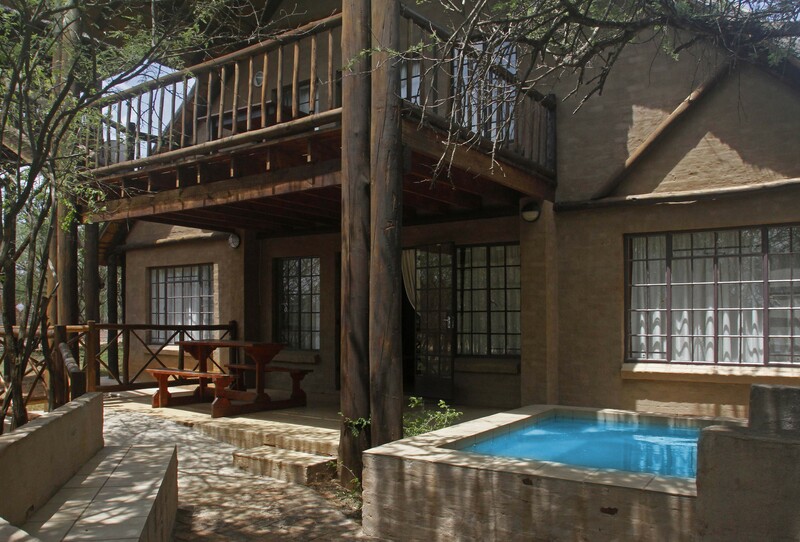 It has 3 bedrooms, bathrooms en suite, and has a view onto the Crocodile River and the Kruger Park beyond. Exclusive use of the cottage is guaranteed. The cottage has a braai (barbeque) area and splash pool that adds to the enjoyment of the natural bush. 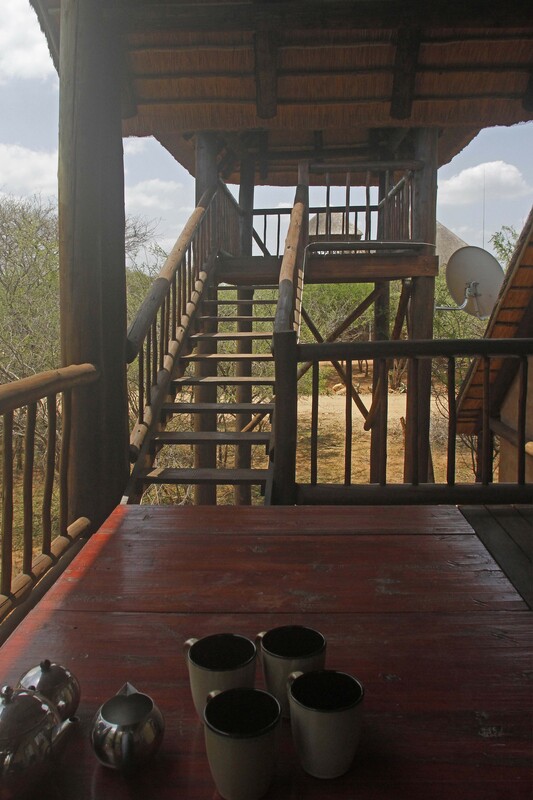 There is a high viewing deck overlooking the Crocodile River and the Kruger National Park. Wild animals like kudu, zebra, giraffe, blue wildebeest, impala and warthog wander freely around the cottage. More than 350 bird species are on the area bird-list. At night you can hear the roar of lion and the call of the hyena. The grunting of hippos in the river and the sound of the iconic African Fish-Eagle adds to the magic of the bushveld. Marloth Park has its own adjoining wildlife reserve and boasts being home to four of the Big Five, the exception being the elephant. You are, however, likely to spot elephant walking near the fence or playing in the Crocodile River directly in front of the cottage. 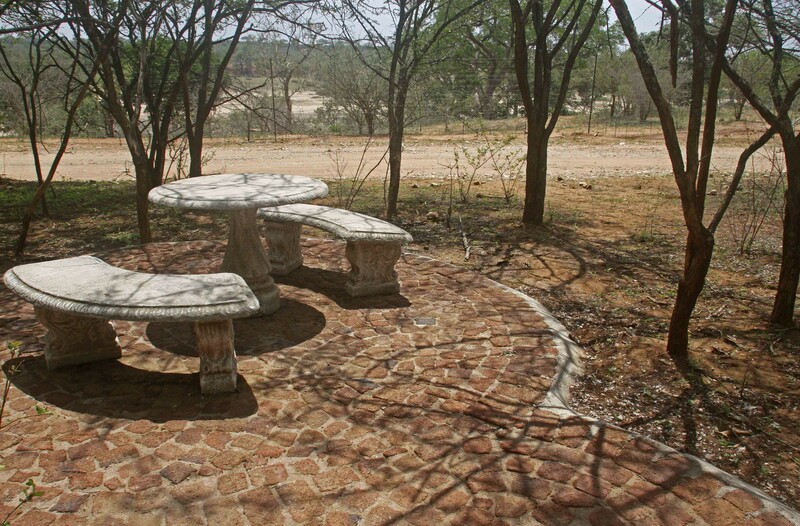 Marloth Park is 15km from the Crocodile Bridge gate to the Kruger National Park. 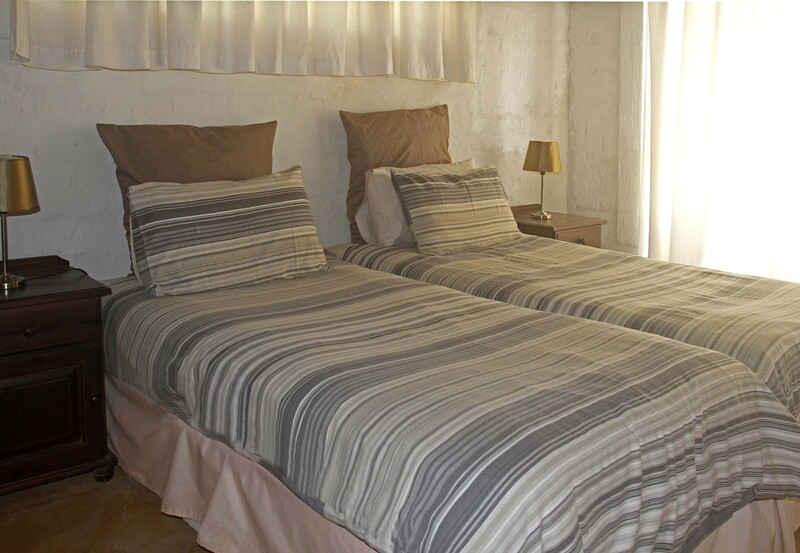 The main bedroom has an extra length king-size bed, an air conditioner, and an en suite bathroom with bath and shower. 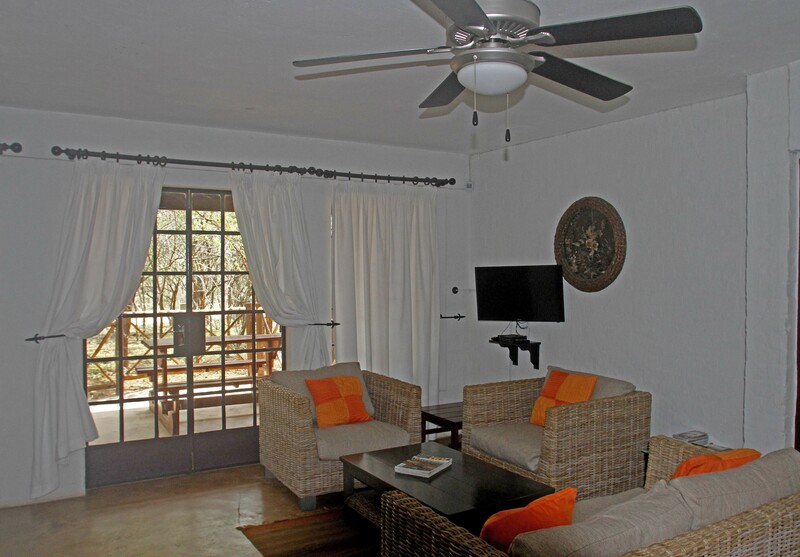 To cater for all tastes, all rooms have overhead fans and pedestal fans. The upper level has the third bedroom, bathroom en suite with shower. The living space on this level has two single beds for additional sleeping capacity. There are restaurants, shops and a fuel station nearby. Safari day trips, with a qualified guide, can be arranged. Please, no smoking in the Cottage.